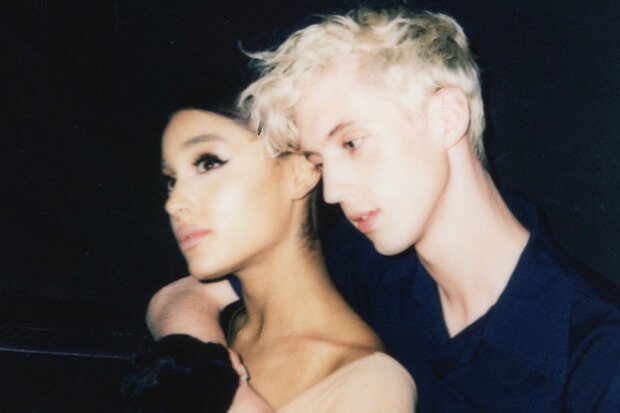 There’s something refreshingly casual about Troye Sivan and Ariana Grande’s “Dance To This.” Instead of forcing itself to be a big Pop Moment, the mellow bop takes a less-is-more approach with unobtrusive verses and a chorus that leaves you wanting more in the best possible way. All in all, this could be the Aussie pop star’s biggest hit to date — particularly given the relatable subject matter. Co-written by Troye, Leland, Noonie Bao and Oscar Holter, this is the latest addition to growing sub-genre of pop songs about wanting to stay at home. (Think Alessia Cara’s “Here”). “[It’s] about that moment when you feel like you’ve been to enough house parties or events, and staying home and like, making out in the kitchen and cooking dinner sounds like a much, much better alternative,” the 22-year-old reveals. “Dance To This” is the fourth cut from Troye’s upcoming Bloom LP (due August 31). While “My My My!,” “The Good Side” and the title track have delivered big streaming numbers, pop radio hasn’t really played along. Something tells me that’s about to change. Check out his next smash below.